Physicians prescribe drugs containing opiates because they are very effective. It also appears to be the case that drug companies are doing everything they can to avoid informing doctors and patients that these opiates are as addictive as they are. Because they are addictive, unsuspecting people may start to take these drugs more often than they were prescribed to be taken. In some instances, people take these opiates according to the directions printed on the bottle, and the directions are often a little flexible. This may mean that people are taking more and more of these drugs as time goes by, and they may not even be aware that they are increasing the dose. After they become addicted, they may examine how they could have lost control without being aware of it, but the fact that they were in pain made it difficult for them to keep track of how much of the opiates they were taking. Taking more medicine than is recommended is an extensive problem in this country, and part of the problem is that Americans look to the health industry too often to relieve them of their ills. They are unwilling to endure any amount of discomfort because they believe that the medical profession has a permanent solution for them. The truth is that people cannot expect to completely eradicate their pain. The most they can hope for is that their doctors will be able to manage the pain at a tolerable level. The belief that they should not experience any amount of pain leads those who are taking opiates to take more medication than they should. However, those who are already languishing in an opiate addiction are not lost because they can obtain help. Who Becomes Addicted to Opiates? Understanding your opiate addiction will help you recover faster. When people think of an opiate addiction, they tend to think of the heroin addict with a needle in the arm or the Oxycontin addict. Since prescription drugs also contribute to opiate addictions, opiate addicts can be anyone who has suffered an accident or illness and received opiates as treatment. An opiate addiction can happen to anyone. One way of overcoming an opiate addiction is to enroll in a rehab treatment center. Once there, opiate addicts can start the detoxification process and enter into counseling. Most people think of the inpatient program first when they are considering how they will help their family members who are opiate addicts. This solution works, but it is not the only option that people have. Detox for an opiate addict is very important because the withdrawal symptoms are often more severe than they are for many other drugs. In a medical setting, opiate addicts can receive the drug Suboxone that will work to relieve the withdrawal symptoms. If they were to begin the detox process on their own, they, most likely, would not be able to survive the withdrawal symptoms without taking their opiate-based medications again. After they complete the detox portion of the program, patients are ready to obtain counseling. They will meet for group counseling, attend lectures and meetings and receive individual counseling as well. This type of therapy is very good for those who have recognized that they have a problem and genuinely want to overcome it. They also have the choice of outpatient rehab treatment, counseling and drug maintenance therapy without checking into a residential rehab center. A 12-step program can even work for opiate addicts. In selecting a rehabilitation program, opiate addicts need to choose one that will lead to their personal growth in the long term. Opiate addicts might find that they can stop taking their drugs for a short period of time on their own, but they will need to devote themselves to being drug-free if they are going to remain that way for life. One thing that every addict knows is that their addictions completely infiltrate their lives, including their physical, emotional and spiritual well-being and their relationships. If opiate addicts do not examine the physical, emotional, spiritual and social sides of their addictions, they are unlikely to remain drug-free forever. They must stop procrastinating so they can continue on a journey of self discovery that leads them toward accomplishing the goals they have set for themselves. 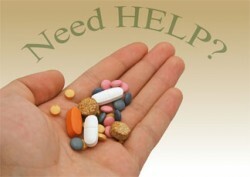 10 Common Opiate Addiction Symptoms - Opiate addiction is a very serious, dangerous condition. If you or someone you love is struggling, it is important to find help soon, as addiction is a chronic and progressive condition. 5 Critical Facts about Opiates and the Brain - When abused, opiates can quickly alter the way the brain functions, leading to a number of consequences. Opiate Derivatives & the Dangers of Recreational Use - Opiates are drugs that derive from the opium poppy. These drugs are all very addictive and can cause serious problems in a person's life. Opiate Withdrawal Symptoms - If your body has grown dependent on opioids, you will experience withdrawal symptoms when you try to quit. Opiate withdrawal feels like an awful flu, but symptoms largely dissipate within a week. Signs of Opiate Use You Can't Miss - Opiate abuse is very dangerous, and the sooner it is identified and stopped the better. With regular and repeated use of opiates dependence and addiction are very likely. Signs of Opioid Dependence and Tips for Tapering Off - Dependence is a precursor to addiction. Once your body and mind have grown dependent on opiates, it becomes harder to stop taking them and you are more likely to develop and addiction. Top 5 Vitamin Supplements for Opiate Addiction Recovery - Taking the appropriate vitamins can help restore the damage done by opiate abuse. What Is Opiate Detox Like? - Understanding the opiate detox process will help you prepare for this first step in your addiction recovery.